NOTE: Company keep educational certificate for 1 year as security. Apply if you ready to submit the same.. 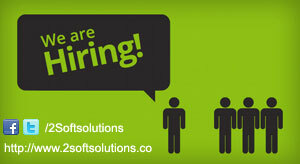 Send your updated profile on shilpa@2softsolutions.com with following details.